Clearly you don't know nothing about how to use it... I use it almost every couple of days. 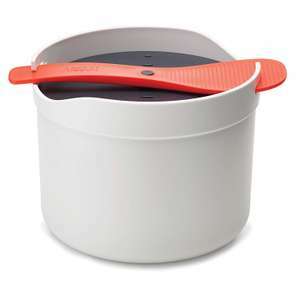 You can even prepare delicious steaks with it. Just google it... You can make fries, sausages, breads, meatloaf, warm up pizza slices, pork belly :), etc! I picked that exact one up for £10 in Wilkos. 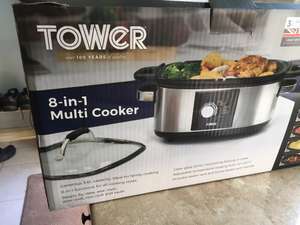 This has a slow cook function plus lots more but it is a lot quicker,about a hour i think on slow cook but has a timer function but i also have a slow cooker as well and use both.mine was from Aldi but is almost exactly the same. 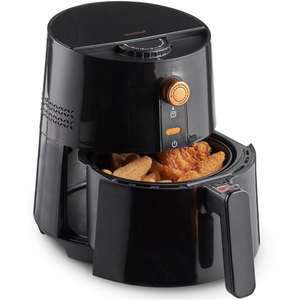 Just broke my slow cooker , can this be used for that ? (shock) Clearance? They aint trying very hard to clear then with these measly reductions. Very poor. Looks like the freezer is no longer at that prize. Shame. 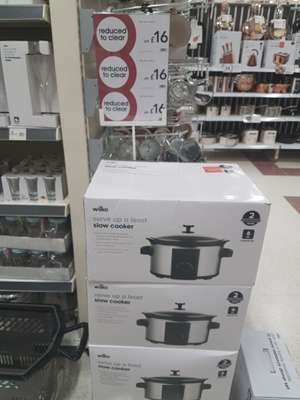 No electric cookers at that price. What I'm doing wrong? I think the penny has dropped, they're losing money on this deal, someone's gonna get a rollicking at currys. You should get them to substitute for one of the other hoods which is what I did. thanks but not near for C&amp;C.
Buy it from RobertDyas for £19.99 Free C&amp;C, the cheapest atm. I own an old microwave rice cooker from a different make. I cook pasta in it too. Really easy to cook and to drain. These are fab. My rice used to be a builders alternative to concrete! Now, just 15 minutes and perfection. (lol) (lol) scratch the P off and no one will know the difference! Next best price I've seen is £179 via Currys. Unfortunately I'm all electric but might be a good for you lot in the area. We don't need to cook anything here in Devon, I usually gnaw on a lamb if I'm peckish. Every time you want to cook something??? You know what I don't know, moved into the area just over a year ago and I've always had just electric. Still, a short drive to Exeter..
Has Okehampton got mains gas? I know most of the surrounding villages haven't, that's probably why it hasn't sold! Does anyone have the overall dimensions on this please? I am specifically after the width to know how much work surface it would take up please. Not sure I could stomach 3 servings of bland, colourless tasteless, food typical of slow cooked food. Same lol, the new Radeon. Can't you still get cheapo versions of this? It just has heating elements above and below like a toaster... I remember getting one for £15 before but smaller. Now, the voucher is gone ... whoever grabbed it earlier only can get that price ..